To social worker Peggy Nickerson, it sounded like a good deal. 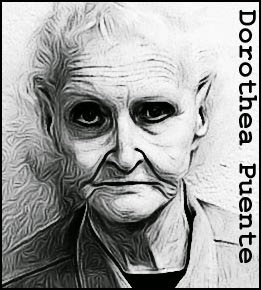 Dorothea Puente, a sixty-something lady with impeccable manners, was offering to provide accommodation for elderly persons on fixed incomes. As such lodgings were usually in short supply, Nickerson agreed to check it out. She was suitable impressed. Puente’s home was spick and span and the meal that Puente served her proved that the lady was a good cook. Puente’s rates were also extremely reasonable. What Nickerson didn't know that the grandmotherly Puente had done time for drugging and robbing strangers, before she opened her rooming house in Sacramento, California. Over the next two years, Nickerson sent 19 clients Puente’s way, but by May 1988, she was concerned that several of them had disappeared. Puente always had a ready explanation and as the individuals concerned were still cashing their social security checks, Nickerson reckoned they must be okay. However, went 51-year-old Bert Montoya went missing in November 1988, she went to the police. Officers arriving at Puente’s home noticed immediately the horrendous reek that neighbors had been complaining about for months. Puente said it was from fertilizer she’d spread on her lawn and also explained away Montoya’s disappearance. She said that he’d returned to Mexico. The officers left, but were dissatisfied with Puente’s story. They returned five days later with shovels and a search warrant. When the first corpse came out of the ground on November 11, Puente seemed as shocked as anyone. That same afternoon, she asked if she could do some shopping. The police agreed, and Puente promptly disappeared. As a search was launched for her, the dig continued, eventually unearthing seven corpses. All had died of drug overdoses administered by Puente. She had then cleaned out their bank accounts and continued cashing their social security checks. Puente was eventually tracked to Los Angeles and arrested on November 17. She went on trial in February 1993. Convicted on three counts of murder, she was sentenced to life in prison without parole. 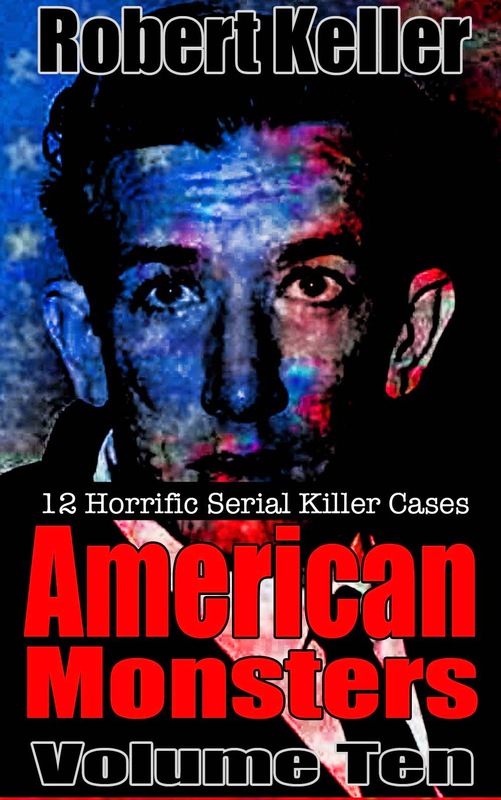 Read the full, horrific true story of Dorothea Puente, plus 11 more serial killer cases in American Monsters Volume 10. Available now on Amazon.